21st February 2019: Every year we’re seeing the introduction of an increasing number of smart devices and wireless innovations designed to make our lives easier and enhance our living spaces. 2019 will be no different. 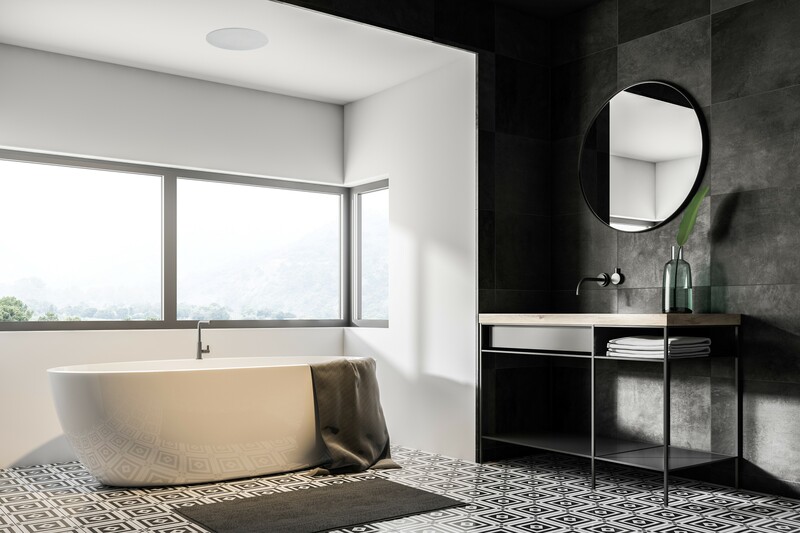 Two recent product launches from Lithe Audio and Retrotouch have kick-started ‘smart home’ developments this year, providing two really easy ways to upgrade and automate your home. Most importantly, they’re affordable upgrades and easy to install without complicated cabling and wiring. An easy way to upgrade your home AV system is with Lithe Audio’s range of easy-to-install, wifi ceiling speakers. providing an all-in-one solution for multi-room music streaming. The speakers have the amplifier and Wi-Fi built-in, there’s no need for speaker cables or servers, making them really easy to install. They are the only AirPlay-certified ceiling speakers available on the market today, and come with a dedicated App that has Spotify Connect, Deezer, TIDAL and vTuner radio already enabled. The high-performance Lithe Audio Wi-Fi ceiling speakers – which now also come in an IP44 bathroom version - deliver superb sound quality with pin sharp clarity, and you can seamlessly stream high quality audio from any audio service to a single, a selection or up to 30 speakers at once for a full multi-room audio experience. The App will save your settings for individual zones or to play Party Mode (all speakers at once) for future streaming. Until now it hasn’t been easy to retrofit Wi-Fi speakers in a ceiling without connecting to a separate amplifier or running cables through your walls. But Lithe Audio has created a fully-integrated design that is completely different from anything else currently available in this sector. Simply connect power from your lighting circuit, link to your device via the App, and stream your music. Designed by Lithe Audio’s team of specialist home electronic product designers, the frameless speakers are designed to ‘disappear’ into the ceiling, only protruding 3mm. The clever magnetic grille covers can be removed easily for cleaning or for replacement with a different coloured finish. The grilles can be painted to match your ceiling for a barely-there look. At £329.99 for a single Wi-Fi ceiling speaker or £399.99 a pair, they’re superb value for money – and almost half the cost of a similar quality ceiling speaker that would require a separate amp and speaker cables. The bathroom-version IP44 speakers are £429.99 for a pair. Buy Lithe Audio wifi speakers from: www.ceiling-speakers.co.uk ; www.buycleverstuff.co.uk ; www.tech4homes.co.uk; www.kitchenbathroomradio.co.uk. Visit http://www.Litheaudio.com to find local stockists. With the second innovation, from Retrotouch, every home can become a beautiful automated smart space with Retrotouch’s new iotty WiFi smart switches. 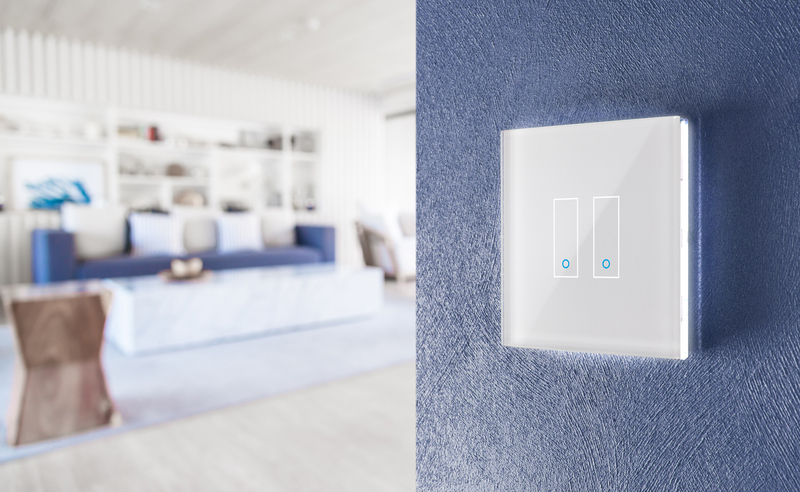 These clever, attractively-designed switches use built-in WiFi to enable you to control the lighting throughout your home or office, from wherever you are in the building – or from anywhere in the world! The switches also integrate seamlessly with any other automated home features such as automatic garage doors and gates; and they can use geo-location technology to ensure that your lights turn on automatically when you approach your home. The switches are Alexa and Google Home enabled so you can literally just say “Alexa, turn on the kitchen lights” for a simple and convenient lighting solution. Retrotouch Crystal iotty™ smart switches have WiFi enabled within the switch, using your existing WiFi router, with no need for additional hubs, routers or costs. Other features include: automatic gate, shutter, door opener; light-dimming function; schedule-creator – you can set your lighting for sunrise and sunset or select a random lighting mode for extra security when you’re away. Not only is the simplicity and performance of these switches second to none, but the design - a cool glossy finish on a flawless glass faceplate - guarantees a stylish look for your home or your business. The switches are available in a choice of Black or White glass, and in 1 switch and 2 switch options. Retrotouch Crystal iotty 1-switch 1W smart WiFi touch switches (black or white) are £69.99. The 2-switch options are £89.99. From: https://www.tech4.co.uk ; https://socketstore.co.uk; www.retrotouch.co.uk ; and local electrical wholesalers nationwide. Lithe Audio (www.litheaudio.com) is a UK Company that designs, manufactures and sells a broad range of high quality, innovative electrical products such as ceiling speakers, wall speakers, wireless garden speakers and TV accessories such as motorised wall mounts - all for commercial or residential applications. Lithe Audio was founded in 2014 by the team of professional electrical product designers behind the successful Retrotouch lighting and switches brand www.retrotouch.co.uk . The design team behind Lithe Audio and Retrotouch share a passion for creating products that meet the needs of their customers. They put themselves into the shoes of the customer throughout the development process to produce a design that will exceed their expectations. This press release was distributed by ResponseSource Press Release Wire on behalf of Minx PR in the following categories: Home & Garden, Consumer Technology, for more information visit https://pressreleasewire.responsesource.com/about.